Ed Morrell was born and raised in Lakeland. He attended the University of South Florida in Tampa before going to law school. He graduated from Cumberland College of Law and returned to practice in Lakeland. 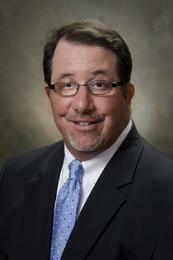 Mr. Morrell's practice began as a litigator, concentrating in business litigation and construction lien law. He has represented a wide range of clients including large corporations to small business owners. In 1998, Mr. Morrell left the firm he was with to start his own firm. As his practice grew he developed a real estate practice in addition to his litigation practice. Mr. Morrell is invited regularly to provide speaking engagements on issues surrounding and perfecting construction liens. Mr. Morrell's real estate practice area includes commercial foreclosures for banks, transactions, and short sales. Mr. Morrell is active in his community. He is a board member and coach at Lakeland City Baseball. Areas of Practice: Real Estate; Creditors' Rights; Business Litigation; Commercial Transactions; Corporate Law; Business Law; and Construction Lien Law. Member: The Florida Bar (Member, Small Claims Rules Committee, 1996-1999; Trial Lawyers Section); Florida Cattlemen's Association; Attorneys’ Title Insurance Fund, Inc. Advisory Team. ; Florida Bar Foundation; Former YMCA Board of Directors; National Association of Credit Managers (NACM) and Credit and Financial Development Division (CFDD); Polk County Real Estate Council; Willson American Inn of Court, 1996; Lakeland City Baseball Board Member and Rules Chair; Tenth Judicial Circuit Fee Arbitration Committee, 1997-1998; Attorney for the Hardee County Value Adjustment Board.